Can’t decide whether you want steak or lobster? Why not both! Surf and turf is a luxury; there’s no arguing about that. It’s not budget food, and it was never intended to be. 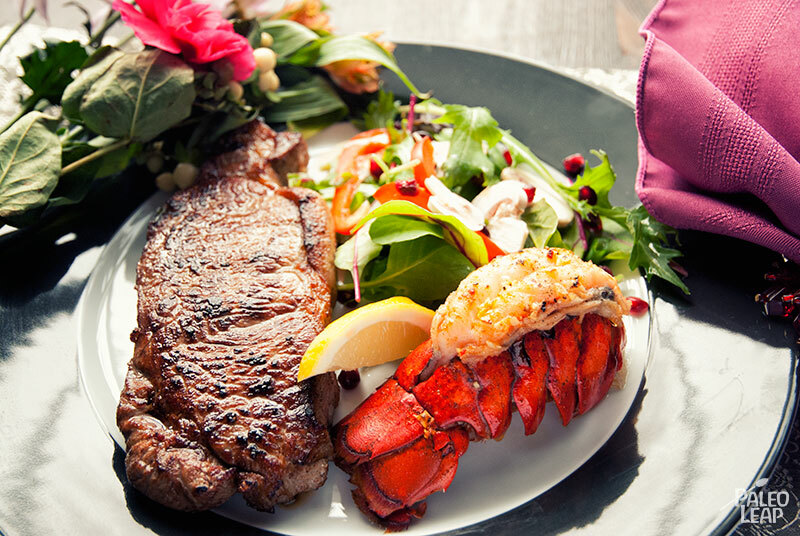 But sometimes a luxury is just what the occasion calls for – and the pairing of juicy, seared steak and broiled lobster tail certainly fits the bill. You might think that cooking up such a famously special-occasion meal would be complicated and time-consuming, but in fact, it’s actually quite straightforward. It starts with fresh lobster and your favorite cut of steak (this recipe works with whatever type you prefer). After that, a quick broil for the lobster and a pan-fry for the steak is all it takes. Good surf and turf doesn’t depend on knowing arcane culinary secrets or buying five different kinds of imported sea salt; it’s about enhancing the flavors of the meat itself with a simple, classic preparation, and then standing back to let the ingredients speak for themselves. This is a dinner for two, but you can easily adapt it to feed the family if you like, just by adding more steaks and lobster tails (kids will probably only need half-portions). Since the meat is such a big event, it’s best to serve with a simple fresh salad or some gently-cooked vegetables. It’s certainly not an everyday dinner, but if there’s someone you want to impress, or just something you feel like celebrating, surf and turf is sure to make the occasion memorable. SERVES: 2 PREP: 35 min. COOK: 25 min. 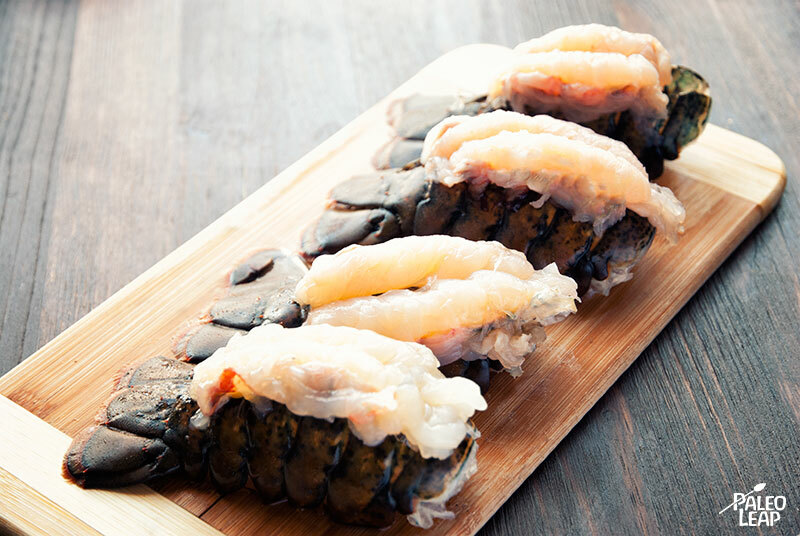 Using a sharp knife, carefully make lengthwise cuts down the tops of the lobster tails. Pull the shells apart slightly, and pull the lobster meat out most of the way, but not completely. Pinch the shells closed and rest the pulled-out meat on top of the shell. Cover the lobster meat with ghee and season with roughly equal amounts of paprika, garlic, sea salt, and black pepper. Place lobster tails on a baking sheet. Broil the tails until lightly browned, about 5 to 10 minutes. 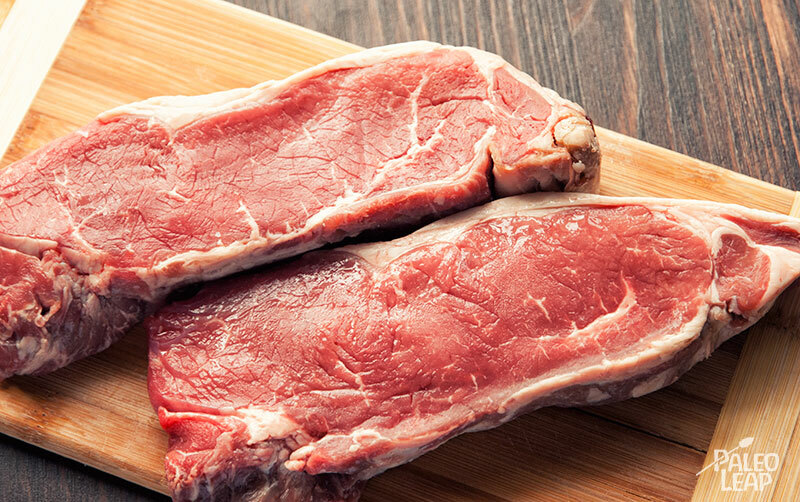 Remove the steaks from the refrigerator 20 minutes before cooking and let them temper to room temperature. In a skillet, melt the oil over a medium high. Season the steaks with sea salt and freshly ground black pepper on both sides. Place the steaks in the skillet and sear both sides for 2 to 3 minutes. Add the ghee, the garlic, and the fresh herbs (if using) to the skillet. Turn the steak every minute, basting regularly until it reaches your desired doneness. Remove the steaks from the skillet and let them rest for a minute or two before serving. Serve the steaks and lobster tails with lemon wedges.